No corners cut, these cutters are Hand built, sandblasted , stress relieved, primed and utethaned. This product is all built by hand. Each cutter is built as if it were my own. 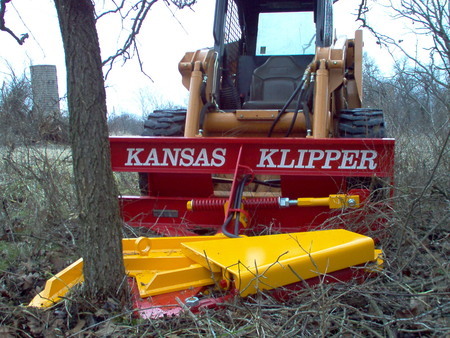 The Kansas Klipper cuts hard wood eleven inches in diameter on the 1st cut, larger trees are felled with more than one cut! 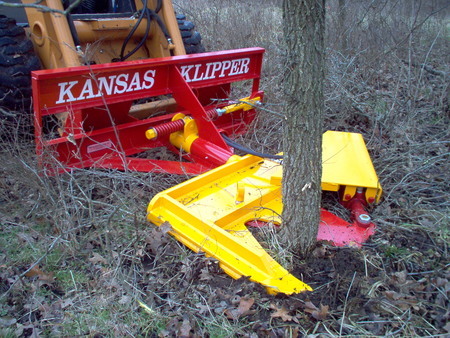 It can also cut trees as small as a blade of grass that most cutters can't cut when they are brand new. In other words, those little pencil size hedge and cedars that need to be cut now, can be cut with ease. It uses tractor or skid loader's hydraulic system. 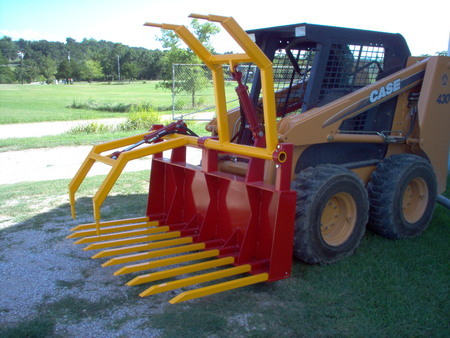 It mounts on farm loader, three point, or skid loader. The spring system allows the cutter to adjust to the contour of the ground. There is minimum pasture damage! It's ideal for fence row, bar ditch, scattered pasture trees or heavy thickets. It's also ideal for cutting firewood . We try to look at quality of cutting. It leaves no center fibers, no chewing or tearing of the tree, and there is no flying debris. 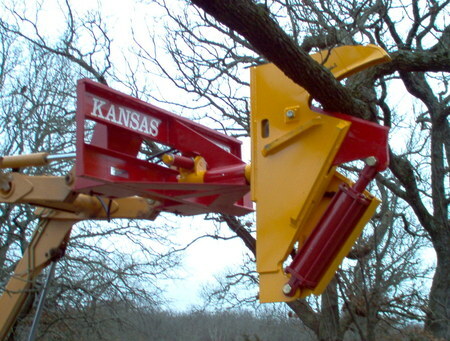 And in most instances, the tree falls to the right of the machine. There is no constant blade adjustment. The blade is fully supported. privately since 1979 and marketed commercially since 1981. The klipper's design has not changed much since the first unit was developed in 1979. Lamar Beeson worked for Joel from 1981 to 2002, and now owns the business. The business is located south of Sedan, KS at 827 State Hwy 99. Contact us for your local dealer!